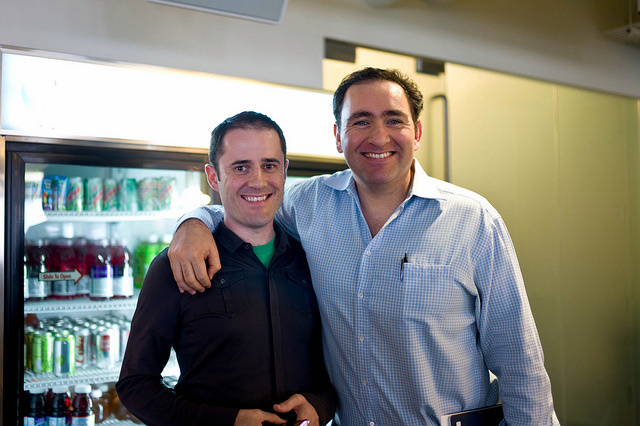 After parting ways with Twitter back in June, Ali Rowghani has found a new (part-time) home: Y Combinator. YC has just announced that Rowghani will join their ranks as a part-time partner, with his time mostly to be spent on helping later-stage YC alumni scale things up. I’m delighted to announce that Ali Rowghani is joining YC as a part-time partner. He will mostly focus on helping our alumni that are a few years out of YC scale their companies, but I’m sure the current batch will enjoy getting to know him as well. Though we’ve traditionally focused on helping very early-stage companies, our successful companies have asked for help on topics like scaling operations, managing hypergrowth, building out management teams, etc. Rowghani was the CFO at Pixar from 2002 to 2008. He moved to Twitter as its CFO from 2008 to 2012, at which point he served as the company’s COO until his departure earlier this year. With that, I believe that brings YC to a total of 25 partners, counting both full and part-timers. The full-time list: Sam Altman, Trevor Blackwell, Paul Buchheit, Dalton Caldwell, Paul Graham, Kevin Hale, Aaron Harris, Justin Kan, Carolynn Levy, Jessica Livingston, Kat Manalac, Robert Morris, Kirsty Nathoo, Alexis Ohanian, Geoff Ralston, Garry Tan and Qasar Younis. The part-time list: Adora Cheung, Patrick Collison, Elizabeth Iorns, Andrew Mason, Ali Rowghani, Yuri Sagalov, Emmett Shear, Michael Seibel and Harj Taggar.